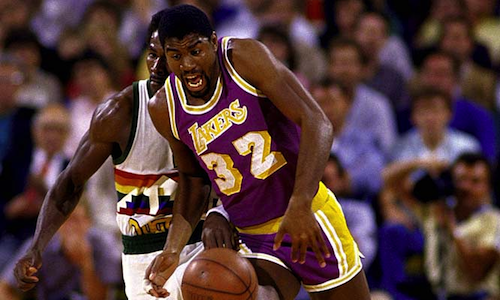 I decided to put together my all-time Denver Nuggets dream team. I picked the best Nuggets based on their top three complete seasons with the team (very similar to what James did for the top 25 players in their prime) and chose the best available player at each position. Enjoy! Back in the 1980s the Nuggets were a perrenial playoff team and almost a contender. 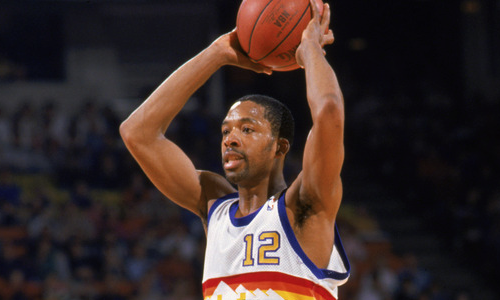 Fat Lever was a huge part of that and in fact his stint with the Nuggets is one of the greatest of all time. He ended his time with the Nuggets with a great season before leaving and declining in Dallas. 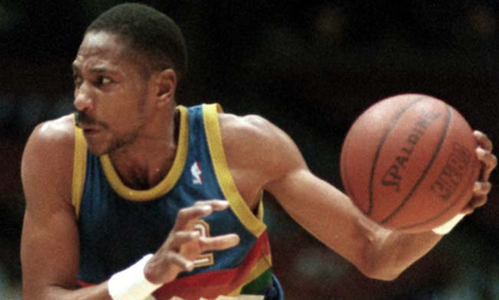 Another member of the late great 1980s Nuggets makes the list. Sadly his prime just missed Fat Lever’s time in the spotlight. He is a misleading player for the two guard spot. While he was an efficient shooter during his peak years, his real skill came from the fact that he pulled down almost 8.0 boards a game! No surprise here. Alex English was another great member from the run and gun Nuggets of the 80s and helped the Nuggets get as close as they would ever come to a finals. Alex English is remembered next to Melo as one of the greatest scoring threats the Nuggets ever had. Unlike Melo it was actually true with English. While his assigned position is C I can’t see why the Nuggets can’t two tower the front court. After all it has worked for getting Houston, San Antonio and Los Angeles to the finals. 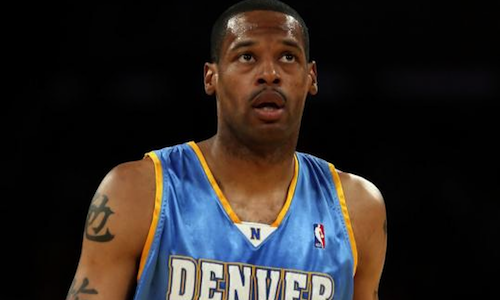 Marcus Camby is an amazing defensive threat and his numbers from his 2008 season make him a key member of this team. 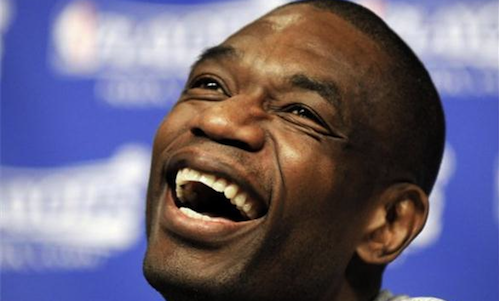 Oh what might have been if Dikembe stuck around! He was a monster defensive pressence and a star right from the start of his rookie season. 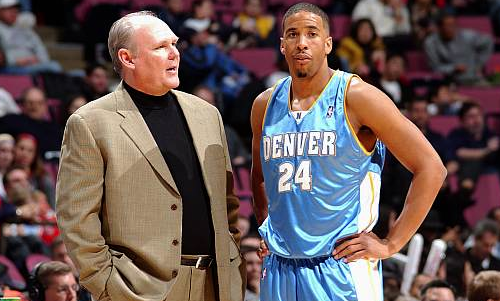 He gave the Nuggets five great years before leaving for greener pastures. Paired next to Marcus Camby the opposing team is guaranteed to never get a rebound and be blocked 20 times a night. Melo is often given the credit for the Nuggets return to the playoffs in 2004. The truth is Miller paired with Camby is the real reason the Nuggets returned to their winning ways. Miller was a great member of the Nuggets and not given his due. He is a great final addition to my all Nuggets team. This was fun and I may do this for other teams if I get bored as the lockout drags on. Hope you enjoyed it and use the comments if you have votes for specific teams. What? No Mahmoud Abdul-Rauf? No Todd Lichti? This is an outrage! I’d be keen on reading the Spurs team. Who were the real Playoff MVPs of 1995? The Wages of Wins Network is licensed under a Creative Commons 3.0 Non-Commercial Share Alike License.